Must-Have Items for Summer: Toys, Essentials, Snacks and More! Summer is almost here and this year I've been blown away by the awesome Summer products I've seen for the season. There are so many must-have items, I don't even know where to start! So I picked a few of my favorites for you to try out . My fun summer picks are good choices every year, so be sure to Pin this post for later! Disclosure: I am a member of the Amazon LLC program and this post contains affiliate links. But that doesn't change my opinion of them. I wouldn't recommend products to you that I didn't love myself! I was sent a sample of BonkBand, which was created by a local New Jersey mom, and I can honestly tell you I was skeptical. I see a lot of 'kid products,' and companies always want to send me their latest 'kidvention,' but this one really made me raise my eyebrows and say, "huh, that's pretty cool!" Here's how it works- BonkBand is a soft, stretchy spandex band with a little pocket in it to keep a perfectly sized little ice pack. This way, if your kiddo bumps his or her head, you can just put the band on and let them go. No one has to hold the ice to their head (there are even two pockets in case you want the ice a little further away from the skin). My kiddo has a big head and I wondered if the band would be too tight but it wasn't at all. I was even able to wear it. The thing I love about BonkBand, though, is that it has other purposes (it's meant for head bonks but you can totally find more uses for it). You can put it around your neck to keep cool while doing yard work or working out. If you get a bump or bruise on your arm or leg, you can actually wrap the band around yourself once or twice for an on-the-go ice pack. The band itself is washable, too. 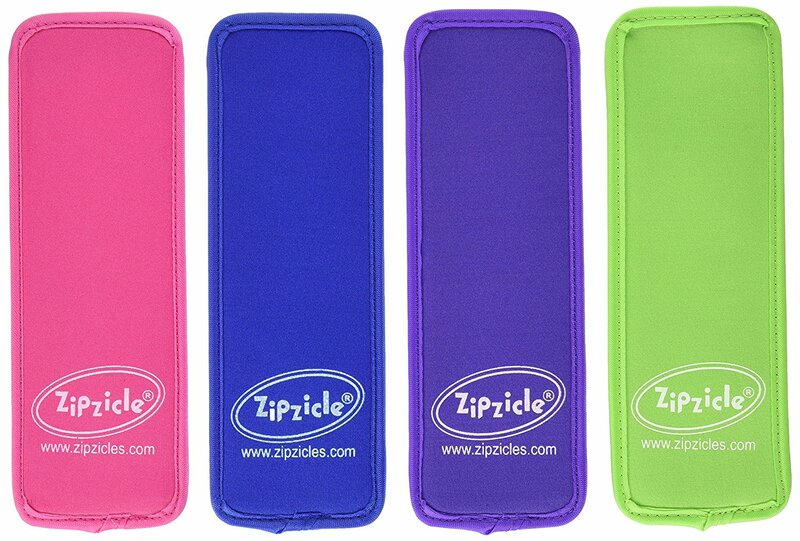 The set comes with two mini ice packs and the band is available in different colors. I honestly just love everything about it. Wouldn't it be cool to make your own frozen push-up pops? Well, now you can! 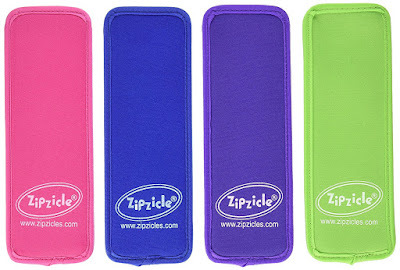 Zipzicle sells these awesome zip pouches and you can make any kind of frozen treat you like. I was so excited when they sent me a sample set to try! I could totally have made a non-alcoholic frozen treat with these, but where's the fun in that? So I made my own rum and coke ice pops, and they were divine. Stay tuned for the recipe and blog post, but for now, know that they are a little piece of awesomeness that you must have for summer. They sell them in packs of 18, 36 or 100 (not surprisingly, the 100 pack seems to be pretty popular on Amazon!). Eh, you know there are some rainy days even in the most fabulous summers, so you'd better have some fun things on hand to keep busy (especially at the shore). 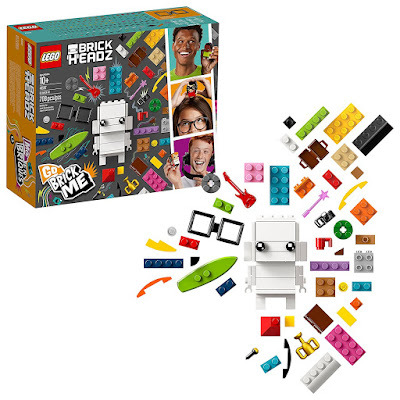 We had a blast playing with the LEGO Brickheadz 'Go Brick Yourself' kit. 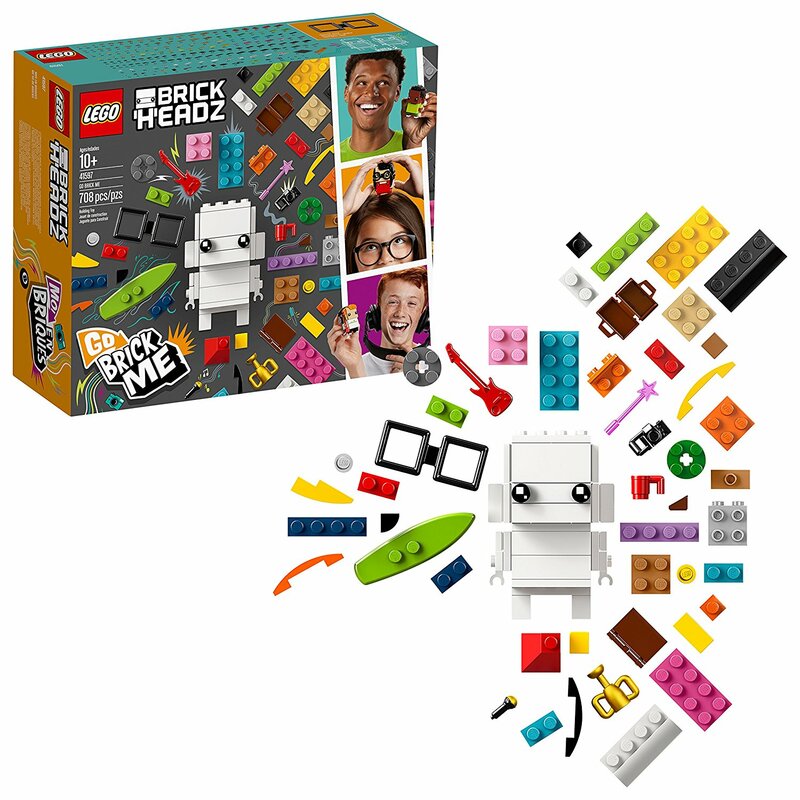 You can make two Brickheadz characters (The Jersey Momma's Boy and I each made one). It comes with 708 pieces- tons of LEGO bricks and little decals, too. It was so fun to customize them and try to give them that personal touch. I think the kit makes a great birthday gift, too. 4. Inflatable Pinata Drink Float from BigMouth, Inc. 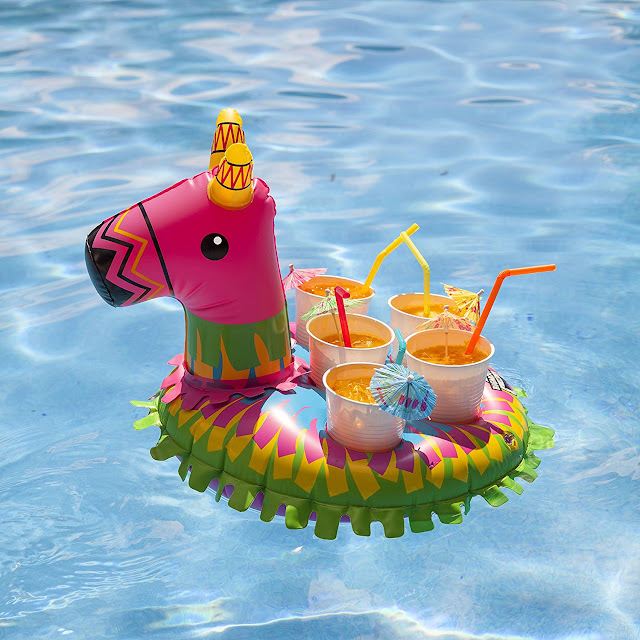 I pretty much love everything from BigMouth, Inc (their awesome wine glasses were featured in my Mother's Day Gift Guide), but this festive inflatable pinata drink holder stole my heart. Not only is it adorable for the pool, but it makes a fun centerpiece for parties, even if you don't put it in the water! Where to buy it: anywhere pool items are sold or use my handy Amazon affiliate link here. So this isn't your typical 'fun' summer item for me to recommend, but sadly, we need to protect ourselves these days. 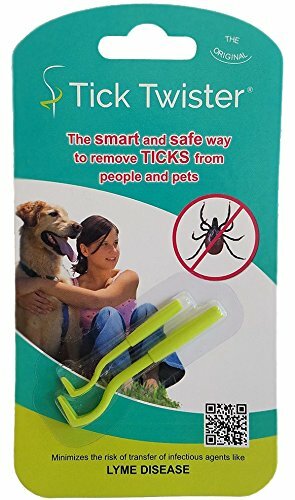 The Tick Twister is one of the best ways to remove ticks safely and efficiently (have you read all of those posts about drawing ticks out with baby oil or burning them with match sticks? Don't do that!!). Read the reviews on this tool and you'll see why it's so important to have it. At under $5 you can't go wrong. The water table is one of the best gifts we ever received when The Jersey Momma's Boy was under 8 years old. Not only did we use that water table every single summer, but also for parties and sensory play (one year we even filled it with shaving cream). It's one of the best investments you can make as parents! I even saw a post about repurposing them into 'fairy gardens' once you're done with them, too. They also make a great gift! 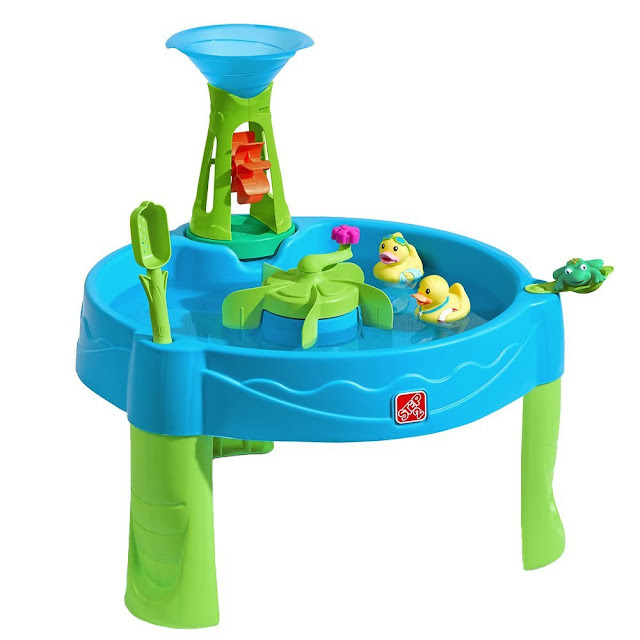 Where to buy: you can purchase many different kinds of water tables but I chose this simple one from Step 2 because it gets the job done! Although these look like some weird vials of antitode from a zombie apocalypse movie, they are quite real and ridiculously effective when it comes to bee stings. I first used them when I worked in a daycare center and we accidentally came upon a yellow jacket's nest during a field trip. 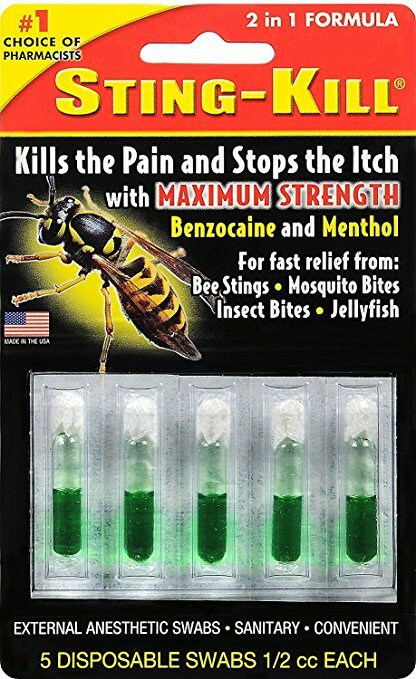 I have NEVER in my life felt anything as effective as these suckers for bee stings. Crack 'em open and put the liquid right on the sting. Pain subsides instantly. They are a MUST HAVE in my medicine cabinet and with any kind of outdoor travel. Where to buy: you can find them through my Amazon affiliate link here or in many places that carry first aid supplies.